In this parody of one of my new favorite movies-I loved the costumes-I chose to focus on the celebration rather than paint a bunch of olives impaling each other with toothpicks. I imagined all the different fruits competing to determine which would make the best cocktail. 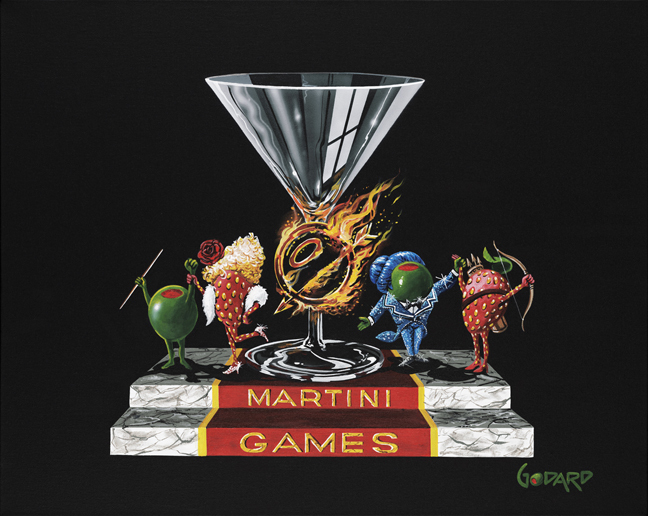 Happy Martini Games. May the Vodka be ever in your flavor!